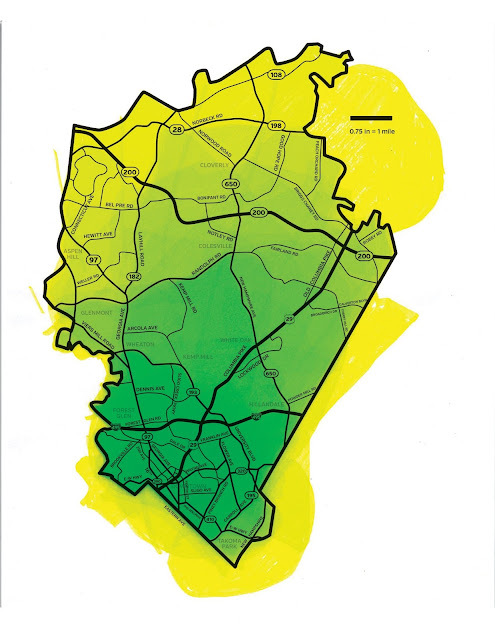 As an unincorporated place, Silver Spring's boundaries aren't really defined. So I asked people what their Silver Spring looks like. What Silver Spring residents say are Silver Spring's boundaries. The darker green areas are where people agree. Image by Christy Batta. 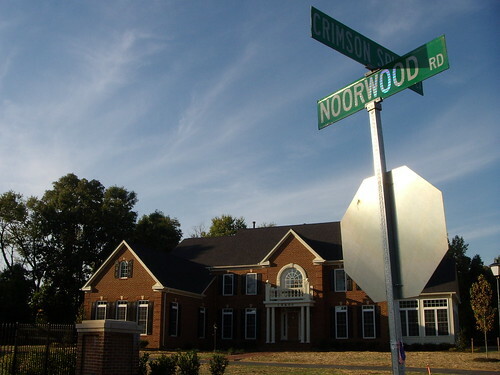 Since its founding in the 1840s, Silver Spring has been an unincorporated community, meaning it's not a town or city with official boundaries and local government. As a result, there's disagreement over where the boundaries are. Some only include downtown and neighborhoods inside the Beltway, or what I call "Little Silver Spring." Others have a broader definition that covers much of eastern Montgomery County, or what I call "Big Silver Spring." Two years ago, local graphic designer Christy Batta and I, working with local marketing company Silver Spring Inc, created this map, which represents all of the Silver Spring zip codes assigned by the US Postal Service. We went to different community events across the area, from Fenton Street Market to a food truck event in Wheaton, and asked people to mark up the map with their personal definition. 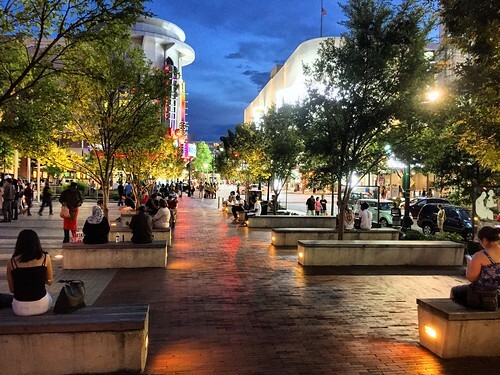 23 people defined Silver Spring as being entirely inside the Beltway, which includes downtown and adjacent neighborhoods like Woodside Park and East Silver Spring. Some people included Long Branch and Lyttonsville, which are both inside the Beltway but across major barriers like Sligo Creek Park and the Red Line. Others included part or all of the City of Takoma Park. This is basically the Census Bureau's definition of Silver Spring, and includes the oldest parts of the area, built before World War II. Another 15 people defined Silver Spring as everything south of University Boulevard, which adds Four Corners, Forest Glen, and Wheaton. A third group of 13 people included everything south of Randolph Road, which includes Glenmont, Kemp Mill, Colesville, and White Oak. A final group of 15 people basically colored in all of East County, out to the Prince George's County and Howard County lines, including semi-rural places like Burtonsville and Cloverly. A few of these people threw in parts of surrounding counties and even DC. The maps suggest a couple of different themes. One is that people use major roads or natural features like Sligo Creek and Northwest Branch as "mental" boundaries. Another boundary might be changes in the built environment. North of University Boulevard, Silver Spring becomes much more suburban and spread-out in nature, which looks and feels very different than the older, more urban neighborhoods closer in. You can feel it driving north on Colesville Road, which goes from a downtown main street to basically a freeway in just a few miles. These places are 15 miles apart and very different, but some say they're both Silver Spring. Photos by the author. Even where places have official boundaries, our idea of that place varies. British researcher Alasdair Rae asked people to draw the boundaries of several cities around the world and found very different interpretations, like maps of New York City that include huge chunks of New Jersey's urban areas. Of course, New York has actual boundaries. But places like Jersey City or Hoboken might feel "enough" like New York that people include them in their "conception" of New York. Likewise, Silver Spring residents define their boundaries based on what they "see" as their community, whether it's based on physical barriers, look and feel, people, preferred hangouts, or anything else. How would you define Silver Spring's boundaries? I'd say the one issue with this map is that Silver Spring isn't North of ICC 200. Burtonsville, Olney, cloverly and Kensington aren't parts of Silver Spring.